I love the style of a convertible necklace because it gives me the option of wearing it as an 18 inch necklace or as a long 36 inch necklace. 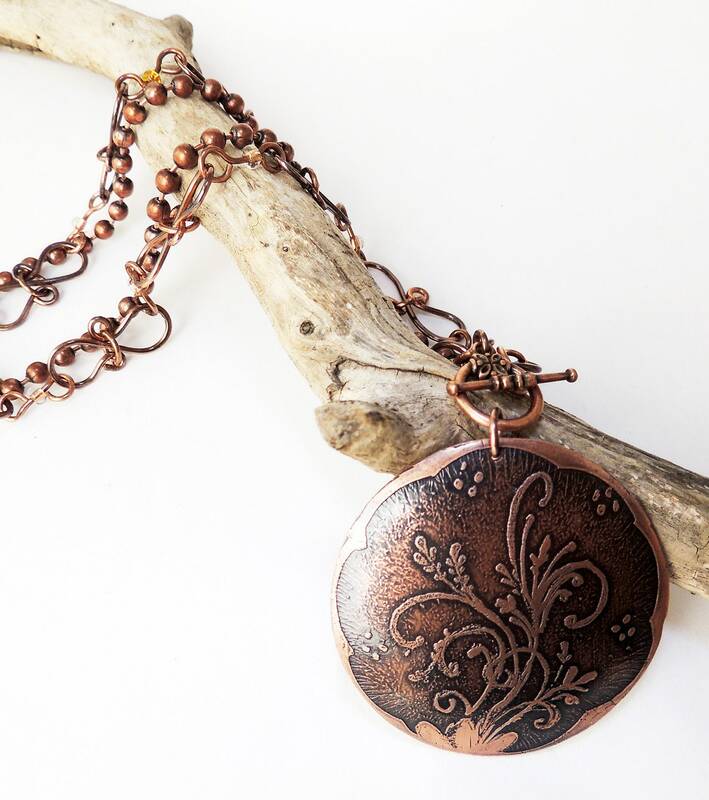 I created a floral design on a 2 inch circle cut from copper sheet metal. 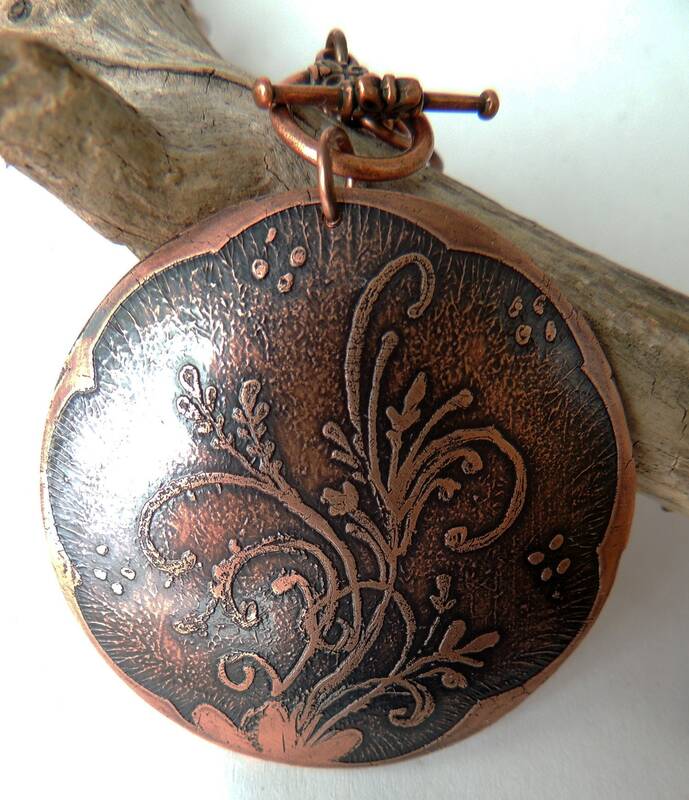 I then etched the design into the pendant and hammered the pendant into a concave shape. 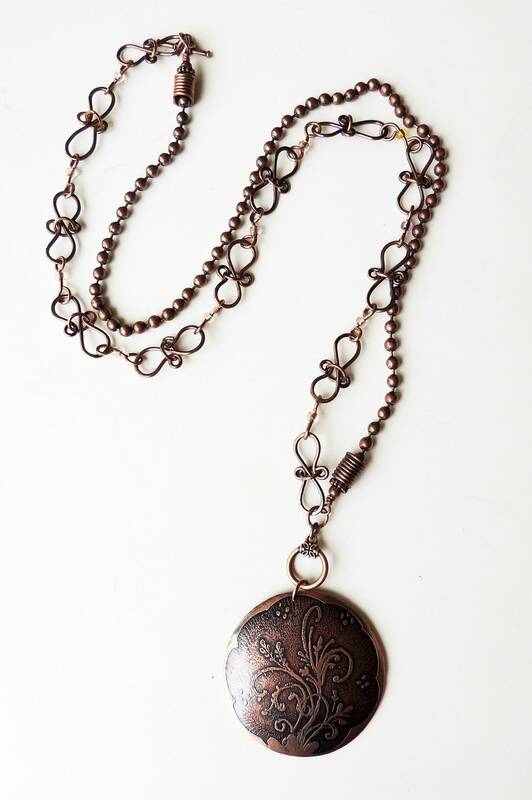 This pendant has an oxidized patina and a clear protective coat of jewelry lacquer. I then began making chain by cutting lengths of copper wire and then shaping each link until I had 18 inches. I also used glass Czech beads in some of the links. 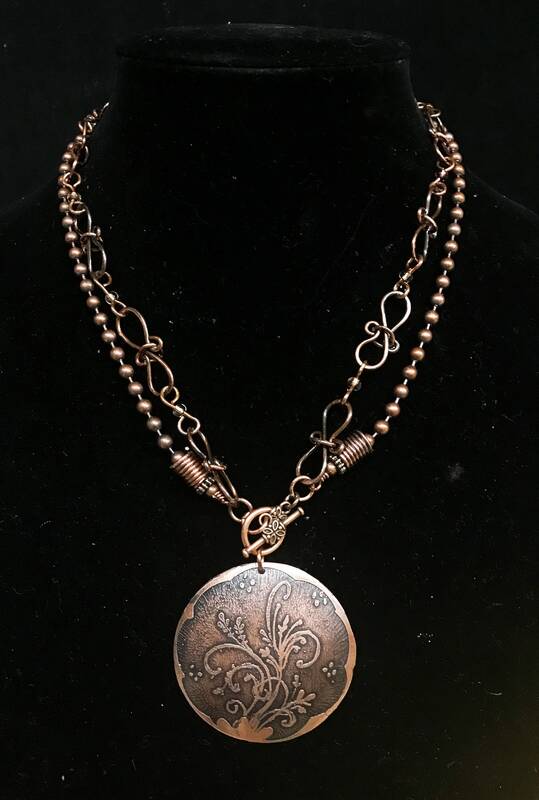 I then made copper cap ends and used 4.8 mm antique copper ball chain for the other half of the necklace for an overall length of 36 inches. 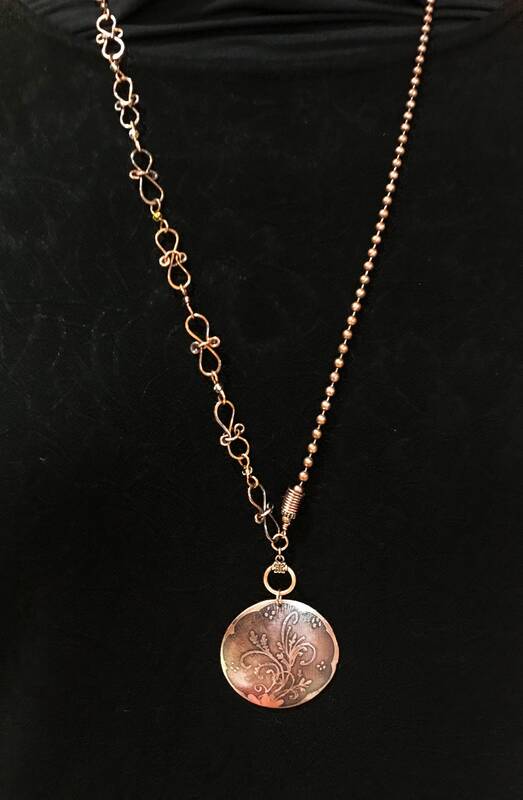 To wear the necklace at an 18 inch length, double up the chains and connect with toggle clasp located above the pendant. 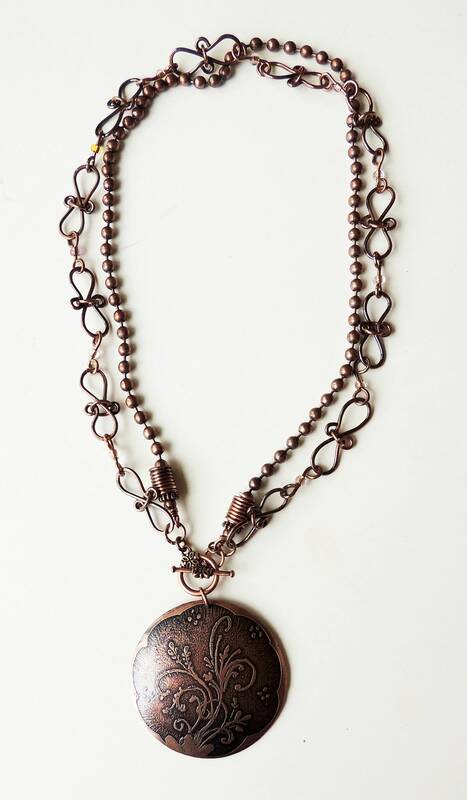 To wear as 36 inch length, simply place the necklace over your head. There are no clasps to fool with. See photos.